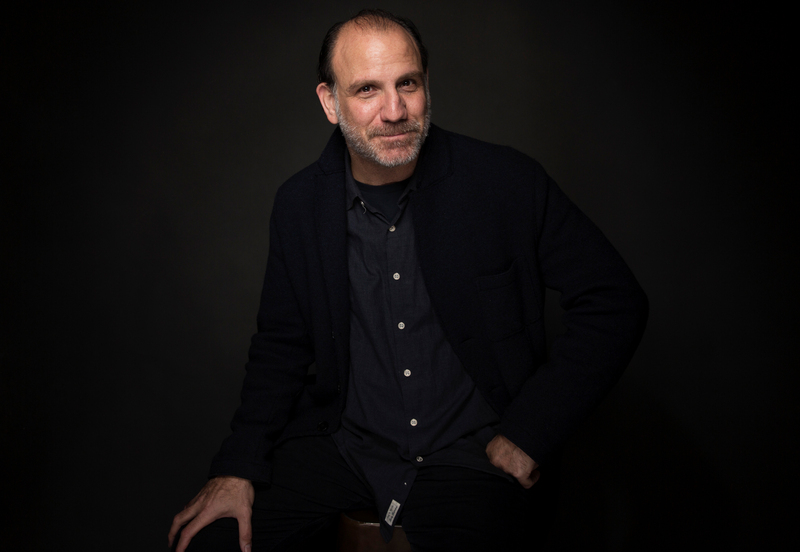 If you’re familiar with Nick Sandow’s work, you probably know him as Joe Caputo, the bumbling, put-upon, overworked and oft-reviled prison warden of Orange is the New Black’s Litchfield prison. Inspired in part by his work on OITNB, Sandow is an executive producer of Time: The Kalief Browder Story, Spike’s new six-part documentary series from director Jenner Furst, which also boasts Jay Z as a producer. Writer Jennifer Gonnerman first revealed the horrors of the last years of Kalief Browder’s life in an October 2014 New Yorker article Before the Law. Browder, an impoverished teenager living in the Bronx, was held for three years in jail at Rikers Island, much of it in solitary confinement, awaiting trial after he was accused of robbery. When he wasn’t in solitary, Browder was subjected to continuous and horrific physical violence in Rikers’ adolescent wing, where guards referred to the juveniles as “animalescents.” That violence, much of it stomach-churning, was captured on the jail’s closed-circuit camera system and is revealed in the Spike series. Time is not just an examination of the circumstances that led to Browder’s three-year imprisonment, but his death by suicide in 2015 at age 22. At the time, Browder was attempting to restart his life as a student at Bronx Community College — while battling depression. Actor Nick Sandow poses for a portrait to promote the series, “TIME: The Kalief Browder Story”, at the Music Lodge during the Sundance Film Festival on Monday, Jan. 23, 2017, in Park City, Utah. Viewers of Ava DuVernay’s 13th documentary will find themselves encountering familiar faces. CNN political commentator Van Jones and The New Jim Crow author Michelle Alexander offer their expertise about the inner workings of the criminal justice system in both. While 13th made a clear argument for how slavery never really went away, one of the most haunting takeaways from Time is the sheer number of impoverished adolescents still languishing on Rikers who never really had a chance. “If I learned anything making this doc, I learned that we have to realize, which I did not, that we are not working with a broken system,” Sandow said. “We are working with a system that is working superbly, it is doing exactly what it’s designed to do and that is to put poor people, and people of color behind bars. Put them away. And also people who are mentally ill. We have to begin again”. What did you want to accomplish or explore in this series that was absent from Jennifer Gonnerman’s article? What about the difference in challenges in working on Orange is the New Black versus working on this documentary? I wasn’t prepared, or knew anything about the prison system when I first began. The biggest thing about playing Caputo for me, by the end of the season, I’m ready to be done. I love working on the show, and I think it’s incredibly important, and I love who I work with. But by the end — I’m playing someone who’s tragically flawed, and the man can’t get out of his own way. Who, in his heart wants to help people, really does want to help people, but he’s stuck in the middle, and he’s working for people who could care less about the people he’s trying to help. When I heard of Kalief’s passing, I truly was broken down and was like, I am not [Caputo], and I have to do something. Of course it led me to the story. I knew I could make that. I knew how to make that. We have to keep shining the light, keep showing what this system is really doing. Attorney General Jeff Sessions recently rescinded an Obama-era policy concerning the federal use of private prisons. A huge step back. The privatization, to fall back on that. I mean listen, there’s 65, 68, 70 percent recidivism. That’s a good business to get into. Prison stocks went out of the roof. It’s scary, it’s scary. Listen, the climate we’re in now … Guys like Jeff Sessions, they’ve been running the country for a long time, and that’s what got us here. I think that we have to keep shining the light, keep showing what this system is really doing, not doing. We have a president right now who in 1989 took out a full-page ad in the Daily News calling for the execution of five 16-year-old boys, the Central Park Five, and was calling for their execution, and still stands by it today. One commonality I’ve seen from those who cover criminal justice and the prison system is that prisons are basically just a black hole for information. Here in New York we have a new administration, and I think they have designs on changing the nature of Rikers Island. They talked to us, and were willing to talk to us about what was the path and what they’re trying to do. We tried to talk to Norm Seabrook, the head of the corrections union. I set up an interview with him in the Bronx. He actually lives not far from where I grew up, and I set up a meeting with him. We were gonna sit down and talk to him, and he walked out. He asked for the questions, we showed him the questions, and he walked out. He said, ‘I’m not gonna answer that stuff.’ It didn’t matter to us. Norman Seabrook has a big mouth and he talked to every form of press he possibly could, so we had plenty of stuff, on how Norman dealt with reforms — or didn’t deal with reforms. The interviews with the correctional officers juxtaposed with footage from inside Rikers is striking. Did you get the impression that they’re aware that this isn’t working? It’s just absurd, the bail system, we gotta get rid of that. One of the arenas that failed Kalief and other minors like him, is a failure to uphold their constitutional rights in terms of due process. Yes. And the bail system doesn’t work. It just doesn’t work, and it’s absurd to think that one person can get out because he has money, and fight his sentence. It’s just absurd, the bail system, we gotta get rid of that. Have there been any reforms? I do think [current New York mayor Bill] de Blasio has been trying to change the nature of Rikers Island. President Obama talked about Kalief in an op-ed, getting rid of solitary confinement for minors. So that’s a big move. You talk to COs about getting rid of solitary confinement and they’re like, ‘Well then, what do we do?‘ There’s no talk of like, OK, let’s back all the way up. Let’s back all the way up and see these boys. They’re boys. We’re talking about kids. Let’s get in people who understand how to work with children. Let’s educate people. Let’s educate guards to teach them how to work with adolescents. How to deal with the adolescent mind, and how can we activate that mind. Realize we’re dealing with human beings. This interview has been edited for clarity and length. Spike’s six-part series, Time: The Kalief Browder Story, premiered March 1 at 10 pm.